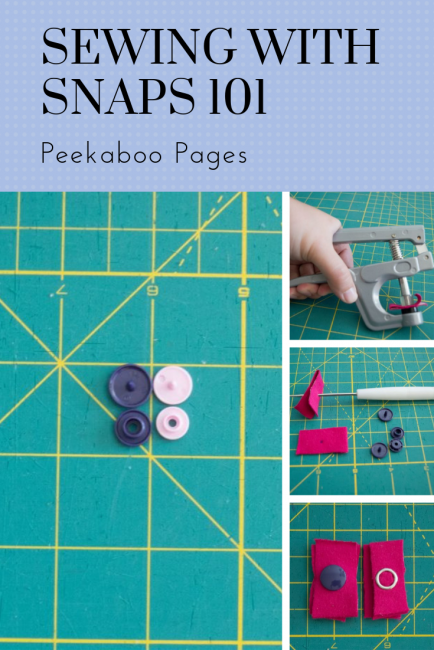 Snaps 101 - Peek-a-Boo Pages - Patterns, Fabric & More! Hello! Now that it is summer here in the upper Midwest, I am loving to sew rompers and onesies for my toddler. 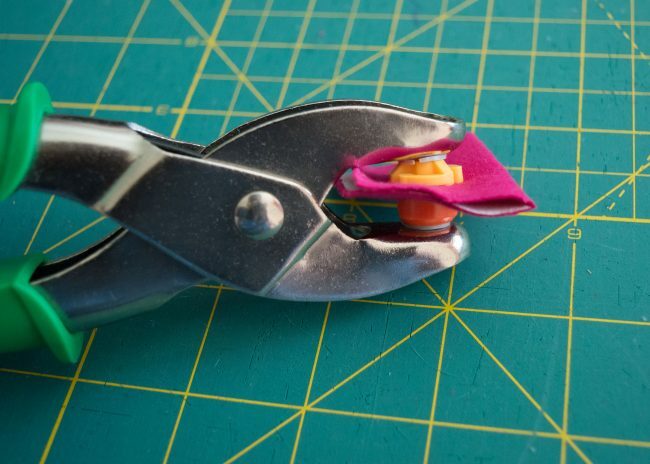 One of the things I was most scared about when sewing rompers and onesies was installing snaps. What kind do you use? Do you need tools? What size snaps? 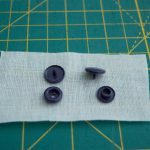 I’m here today to share with you how I install both metal and plastic KAM snaps. I started out using plastic KAM snaps with a starter set that I bought on Amazon. This was the package I started with that contains size 20 . Size 20 have been working wonderfully on my big kids’ clothes as well as dresses for my daughter but for rompers and onesies, I prefer to use size 16. I purchased my size 16 snaps from the KAM snaps website. In this picture, the navy is size 20, and the light pink is size 16. To install either kind, make sure you interface your fabric. I use SF101 interfacing on most of my projects. I iron it onto half of the placket. In the next steps, my placket will be shown folded in half. Both kinds come with rings/prongs and sockets. There are both male and female sockets so be careful to use the correct one on each side of your placket. Pliers or a snap press are used to insert KAM plastic snaps. Use the included awl to poke a hole through the layers of fabric where the prong will be inserted. Insert the prong through the hole and add the corresponding socket. Insert into the pliers and squeeze. I usually use both hands to make sure I’ve applied enough pressure. Repeat for all the snaps you need to insert. I like to use metal snaps on my daughter’s rompers and onesies. I use size 16 open ring snaps from Snap Source. They also sell a purple installation tool, but I recently found pliers at Walmart that work to insert them as well. The purple setter has three pieces. Take the bottom piece and insert the ring. I then lay my fabric on top and push the ring into the fabric to hold it steady. Add the second piece of the setter and the appropriate piece of the socket. Finally add the third layer of the setter. Place your setter on a block of wood or hard surface, and hammer the snap in. I usually sit on the floor with my block of wood and hammer. I’ve found that about 5 hits with the hammer are enough to secure the snap. 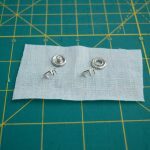 Using the pliers for metal ones is much quieter. There are different dies depending on which size snaps you are using. Insert the ring and socket into the pliers. Insert over your fabric in the correct place, and squeeze. Apply the rest of them in a similar manner. Here is a comparison of what both the plastic and metal ones look like after application. Hopefully this helps explain some of the mystery surrounding how to apply snaps and which ones to use. 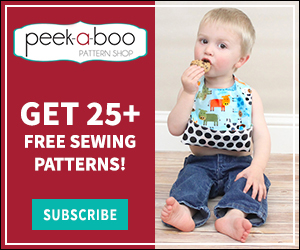 Make sure to share some of your pictures in the Peek A Boo Pattern Shop Group so we can see your creations! I am a mom to 4 boys and a little girl. I enjoy sewing and creating for my family and myself when I'm not busy shuttling kids to activities and events. 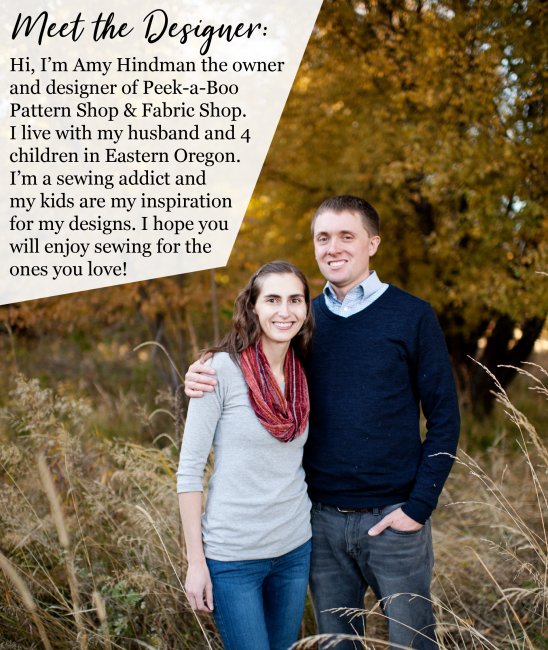 I share my creations over at The Sew and Tell Project.